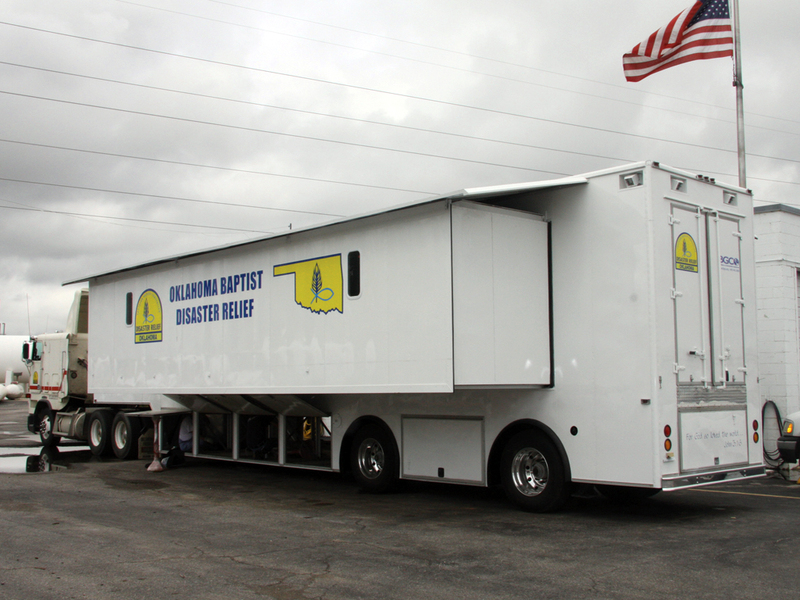 Oklahoma Baptists will send their new disaster relief feeding unit to Denver to help feed security people covering the Democratic National Convention Aug. 25-28. Sam Porter, Baptist General Convention of Oklahoma disaster relief director, said he was contacted by Charlie Brown, disaster relief director for Colorado Baptists, last November about helping in the effort. Porter said there will be hot meals available 24 hours a day for security officers, and it is expected about 8,000 meals a day will be served. Porter added that there is concern there may be a riot or terrorism event connected with the convention. Also, Porter said, security has been beefed up because the Democratic presidential nominee, Barack Obama, has decided to have his victory rally at Mile High Stadium instead of the convention center. Colorado Baptists plan to saturate the city much like Oklahoma Baptists did with ACROSS Oklahoma, using the opportunity to touch people’s lives with the Gospel. In addition to the disaster relief effort, the Mile High Association is sponsoring a “Love Denver” event, composed of food and respite for first responders during the convention and intentional evangelism on the streets. A spokesperson for the Colorado Convention said large events take their toll on police, fire and emergency workers, and this will give them an opportunity to relax in a comfortable atmosphere away from the crowds, have a hot meal that doesn’t come from a cardboard box or wrapped in recycled paper and see the love of Jesus played out in real and relevant ways. The event also presents an unprecedented opportunity to share Christ with large numbers as hundreds of people move into the area all at once. “We’re supporting those who are guarding those at the convention,” he pointed out. Porter noted that Oklahoma Baptists have sent chaplains to places like the Sturgis Motorcycle Rally in South Dakota and to Mardi Gras in New Orleans. Porter said this is the maiden voyage for the new feeding unit which can prepare 20,000 meals day. “We are looking at this as a good trial run, working the kinks out without pressure, unless, of course, some major event occurs while we’re there,” he said. No disaster relief funds will be used for the venture. Support will come from the North American Mission Board, Colorado Baptist General Convention, Mile High Association, local churches and governmental funds set up for the event. Porter said about 20 disaster relief volunteers will be going to Denver, leaving Aug. 22. The Oklahoma feeding unit will be set up at a warehouse next door to Mile High Association, outside the “hot zone.” From there, meals will be taken to designated feeding areas across the city. Porter added that the city of Denver is being proactive and wants to do the best it can to take care of the security people coming in. “Love Denver” is a ministry evangelism event that hopefully will have an impact on world politics, and the global impressions of America will be impacted by the presence of praying servants giving a caring hand to those who serve and care about our country and city, a Colorado Convention spokesperson said. Porter said he has learned Minnesota Baptists’ disaster relief group is doing the same thing during the Republican National Convention, which convenes Sept. 1-4 in Minneapolis-St. Paul. 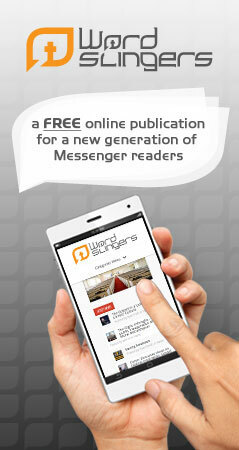 View more articles by Dana Williamson.